State-of-the-art technology is for comforts of human beings but for animals, as well. A series of new equipments developed by a local company are used not only to drastically enhance concentration and memorization ability for humans but also to make lives of live stocks stable and comfortable for the improved quality of their stocks. A new product "MC Square PRO," made by Daeyang E&C (Education and Communication), helps greatly improve concentration and relieve stress for both humans and livestocks. Using the rhythmical elements of light and sound to induce a brain state full of Alpha and Theta waves, "MC Square PRO" is an up-to-date Neuro-Technology system that enhances concentration in a short-term and helps relieve tension, exhaustion, and stress. And voice-recording function has been added to the original function of "MC Square" for those who need speedy memorization or recording of information, like students for a good example. Used for livestocks including hens, these products are really helpful in making them calm and stable, eventually feel very comfortable. There are aimed at improving the quality of wellbeing of livestocks. 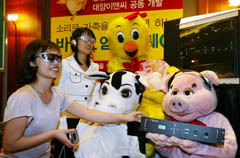 For instance, hens exposed to the stimulations by these equipments can drastically enhance egg productions, according Mr. Lee Jun-Wook, president of Daeyang E & C. Mr. Lee argued that a local science professor found that regular audiovisual stimulation could drastically enhance students' ability for learning. In a recently released research "Influence of Outer Audio Visual Stimulation on Learning and Memory," Prof. Kim Yong-Soo of Korea Advanced Institute of Science and Technology (KAIST), said that the new findings had been proved scientifically for the first time in South Korea. 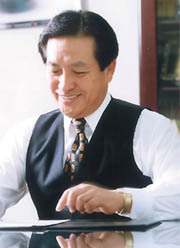 Prof. Kim research was conducted on brains of eight boys and girls aged between 13 and 14. All of them are junior high school students. "Based on the results of my research audio visual stimulations can be highly effective in improving the activities of the brain and the ability for memorizing," said Prof. Kim who is specializing in brain research. The new findings are expected to have a positive impact on a large number of students struggling for improving their academic abilities. Witnesses argue that their ability of learning and memorizing has been improved by leaps and bounds since they started using the equipments.